I have always been obsessed with the octopus. I am even planning on getting a tattoo of an octopus and have begun a sketchbook devoted purely to octopuses (before you correct me, it can be either octopi OR octopuses) while I am working on the design. I had so much fun combining classic henna designs into the above drawing that I had to make a coloring sheet! You can download my henna octopus to print out and color in yourself! It's wet here and it's cold, but the light is coming back very soon! 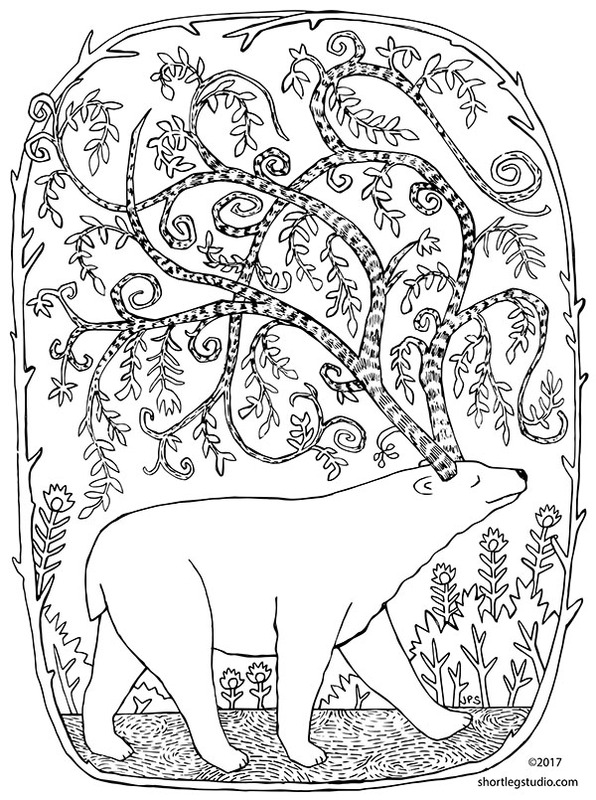 So here's a coloring page to commemorate the Winter Solstice. Have you seen Wonder Woman yet? I saw it opening night and loved it. Strong woman, check. Humor, check. Saving the world, check. No spoilers but the "No Man's Land" scene was the best. Fun fun fun and I made a new coloring sheet to celebrate! So head over to my Fantasy and RPG Coloring Page and print out your own strong Wonder Woman mermaid to color yourself! After drawing a magpie at the natural history museum the other night, I knew I needed to draw one as a coloring sheet! Check out the FLORA AND FAUNA coloring pages for this new magpie!